FAYETTEVILLE – Three Razorbacks – two current and one former – will play in the Latin America Amateur Championship, which will be contested Jan. 17-20 at Teeth of the Dog Golf Course in Casa del Campo, Dominican Republic. Current Razorbacks include junior Luis Garza, representing Mexico, and freshman Julian Perico, representing Peru. Alvaro Ortiz, who played at Arkansas from 2014-18, will be representing his native Mexico. 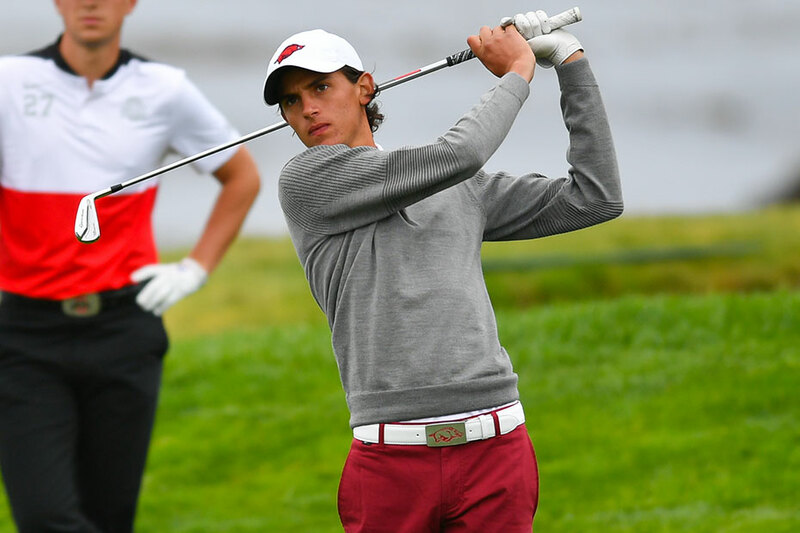 This is the fifth year of the Latin America Amateur Championship and Both Ortiz and Garza have played in each of the previous four Championships. The event began as a joint venture through the Masters Tournament, The R&A and the USGA in an effort to further develop amateur golf throughout Latin America. The winner will be invited to the 2019 Masters and receive exemptions into the final stages of qualifying for The Open and U.S. Open in 2019. Ortiz has finished among the top three on three occasions (runner up in 2017 and 2018; finished third in 215) and he placed 46th in 2016. Perico tied for fourth in 2017 and tied for 13th last season. Garza is playing in his fifth LAAC and has finished 37th, 38th, 44th and 11th, respectively, each of the last four years. Ortiz was a three-time All-Central Region selection while at Arkansas and led the team in scoring average in both 2016-17 and 2017-18. His 71.24 scoring average last season ranks second on the school’s single-season list and his career scoring average of 72.22 ranks second as well. Garza has a career scoring average of 72.33 and is coming off an impressive fall season where he posted a 71.87 scoring average. He opened the season with a third-place finish at the prestigious Carmel Cup. Last year Garza won the Southern Intercollegiate and he has a total of eight top 10 finishes in his career. Perico also had an impressive fall, posting a scoring average of 71.07. He won the Jerry Pate Intercollegiate and placed fourth in the Gopher Invitational. In winning the Jerry Pate, Perico set school records for a low 36-hole score (129) and low 54-hole score (197) as he carded rounds of 64-65-68. Of his 15 rounds played, Perico had eight rounds of par or better. The Razorbacks will begin the spring portion of their 2018-19 schedule on Feb. 4-5 at the Sea Best Invitational, played in Ponte Vedra Beach, Fla., at TPC Sawgrass – Dye’s Valley Course.